Why would I need self storage in Fort Pierce, FL? There are a variety of reasons why you might need self-storage in Fort Pierce, FL. How much is a storage unit in Fort Pierce, FL? The cheapest storage unit in Fort Pierce, FL is $22.00 per month. What size storage units do you have available in Fort Pierce, FL? In Fort Pierce, FL we have sizes that range from 5'x5' to 15'x20' to suit your storage needs. How much is it for a 5'x5' storage unit in Fort Pierce, FL? The cheapest 5'x5' storage unit in Fort Pierce, FL is $22.00 per month. Fort Pierce is a mid-size city on the eastern coastline of Florida, considered the county seat of St. Lucie County. It's often referred to as the "Sunrise City," the sister city to San Francisco, the country's "Sunset City." Fort Pierce has received a number of state and national awards, including recognition for its local government, and its efforts toward preserving its historic downtown area. Throughout the state, Fort Pierce is known as the home of a large and beloved manatee population. Fort Pierce has a long and interesting history, starting with the Seminole Native American tribe that inhabited the area long before European settlers came here. The area was nicknamed the "Treasure Coast," a nod to a Spanish treasure fleet that sunk off the coast in 1715. In 1835, the second Seminole War began and Fort Pierce was built. However, in 1843, there was a fire in the kitchen of the fort, which destroyed all the buildings. The town voted to incorporate in 1901, and A.C. Dittmar was voted the town's first mayor. Through the years, Fort Pierce has grown significantly, experiencing significant population increases throughout the 20th century. Fort Pierce provides a number of convenient amenities to its residents, ranging from shopping and dining to education and health care. Not only are there hospitals and clinics throughout the city, you'll also find a number of home health services, dialysis centers and more. If you're interested in furthering your education, you can take advantage of the three higher education centers throughout Fort Pierce or the several colleges and universities within a 75-mile radius. Community gardens and a number of public parks offer the opportunity to connect with the natural beauty of Fort Pierce. There are also several cultural and historic institutions in the city, due in large part to its status as one of the oldest communities in the area. The National UDT Navy SEAL Museum is one of the most popular museums in Fort Pierce, followed closely by the A.E. "Beanie" Backus Museum and the St. Lucie Regional History Museum. If you're going to be looking for a job in Fort Pierce, you may want to start with the community's most active industries: retail trade, construction, hospitality and food services. The St. Lucie Public School District operates the public schools in and around Fort Pierce. The district offers open enrollment, so you'll be able to choose which schools you want your child to attend. In addition to traditional public schools, the district also offers a number of other options, such as virtual school, charter schools and magnet schools. Utilities: The Fort Pierce Utilities Authority is the primary utilities provider in Fort Pierce. You have the option of using their online system to start and stop services as well as pay your bill. Garbage and Recycling: You will receive two city-issued cans, one for trash and one for recyclables. Trash is collected twice per week, while recyclables, yard waste and bulky items are picked up once a week. Transportation: The Treasure Coast Connector is the primary mode of public transportation in Fort Pierce. Fort Pierce is an affordable place to purchase a home, with median home prices well below the national averages. Considering its coastal location, it's not surprising that prices are quickly rising. If you'd prefer to rent, there are a variety of options including apartments, town homes and condominiums. Our lowest priced units in Fort Pierce, FL average $31.33 per month. 180 people have reserved units in Fort Pierce, FL in the past 30 days. 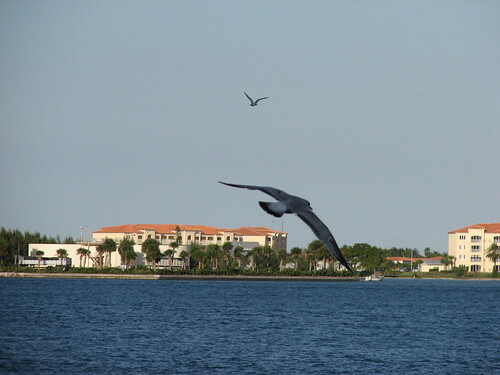 There are 3 locations within Fort Pierce, FL's city limits. There are 3 locations in Fort Pierce, FL that offer AC and Heating features.